Great Lakes Gulf Presbytery met yesterday from 9 AM to 9 PM. The meeting occurred at the building of the Bloomington, IN, RPC. Wonderful snacks and meals were provided by the families of the congregation. Those of us who lived away were hosted by families. A majority of the morning and afternoon sessions were taken up with student examinations. We heard three student sermons and numerous oral examinations. Zach Smith of 2nd Indianapolis congregation (and formerly of Lisbon NY) was licensed to preach. Further, we examined Jay Dharan for the South Asia Commission. Some of their own elders were able to watch by Skype over the internet. We received the credentials of the Rev. Philip McCollum, transferring from Eastern Presbytery of the RPC of Ireland. We also dealt with some outreach matters, including two mission preaching stations and another proposed one. 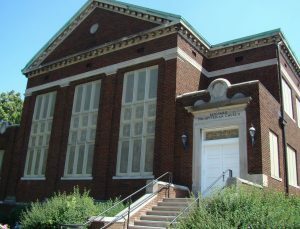 We had a report on a Presbytery committee visit to our Lafayette, IN, congregation. We had an update on our Selma, AL, congregation. In the evening, we installed Mr. McCollum as the co-pastor, with Dr. Richard Holdeman, of the Bloomington church.